5 Star Review for A Game Called Dead! Check out this great review for Michael Stephen Daigle’s, A Game Called Dead. 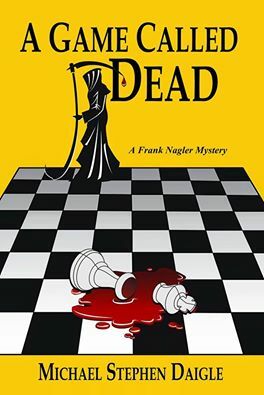 This is the second book in the Frank Nagler Mystery series. Don’t forget to also check out The Swamps of Jersey and The Weight of Living, the other two books in this series….and the fourth is on the way! This entry was posted in A Game Called Dead, Authors, book reviews, Books, Crime, fiction, Michael Stephen Daigle, Mystery, News!, Swamps of Jersey, The Weight of Living and tagged book review, Books, crime novel, Detective Frank Nagler Series, fiction books, Frank Nagler Mystery Series, Imzadi Publishing, Michael Stephen Daigle, mystery novel. Bookmark the permalink.